Also Known As: “Keep Your Head on the Same Vertical Spot” or “Don’t Bob your Head Up and Down”. This swing thought has you focusing on keeping your head at the same vertical level – or distance from the ground – throughout the first two sections of your swing, i.e., from address to impact. This is in contrast to seeing your head move down and up as you perform your backswing and downswing through impact, a swing error known as failing to maintain your spine angle. 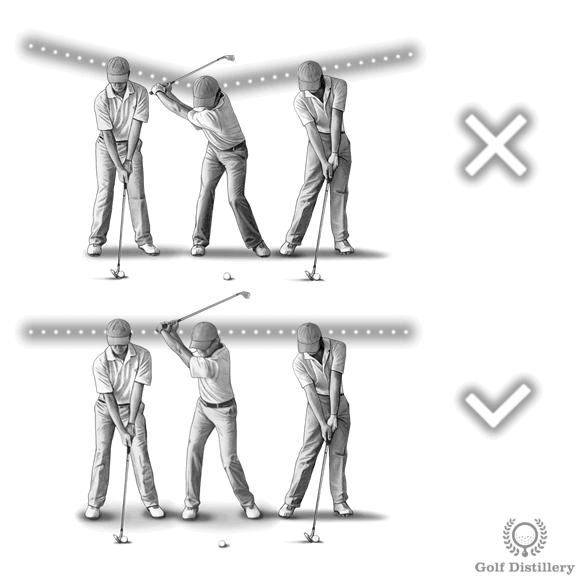 Note that it is OK to lift your head gradually as you perform the follow through and move towards the ultimate finish position. 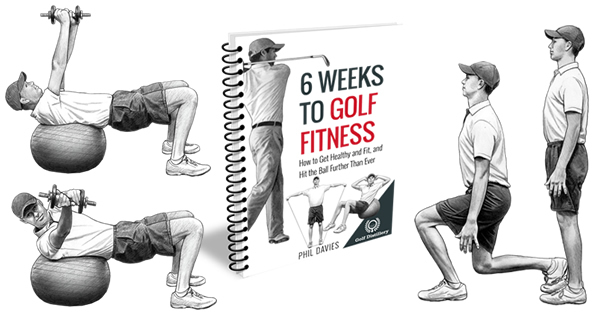 The swing key promotes consistency in your knee flex and upper body tilt throughout your swing. 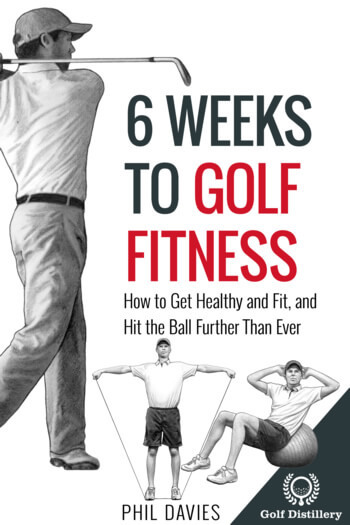 Indeed, by focusing on keeping your head relatively still you are making sure that you don’t bring your upper body forward and down during the backswing and that you aren’t rising, or locking up your knees as you bring the club back down towards impact. Keeping the angles of your spine and knees relatively constant will help your chances of hitting the ball on the sweetspot of the club. The reason behind this is that it is much easier to bring the clubhead back towards the ball when fewer things have moved. By focusing on this swing thought you should be able to improve on the inconsistency of your shots. Indeed, by reducing the variability of the movements involved in your swing you should be able to hit good shots more reliably. 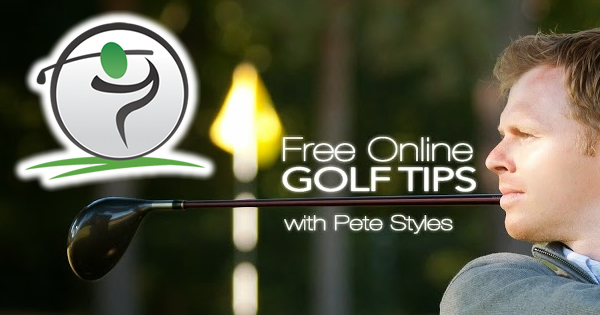 Furthermore, by seeing your clubs hit balls on the sweetspot more regularly you should be able to rid a few thin or fat shots from your game that may have otherwise crept into your rounds. By making you focus on keeping your head in place vertically your body has no other choice than to keep your upper body forward tilt constant, or at least to limit its variation. Same goes for the flex in your knees. By restricting variations in those areas, you are helping groove your swing arc into a predictable one. And through knowing where the bottom of your swing arc lies your likelihood of seeing the club hit the ground first (fat shot) or catch the ball with the leading edge on the way up (thin shots) will be greatly reduced. This swing key can be adopted for all swing types although putting should lead to very little head vertical movement to begin with.